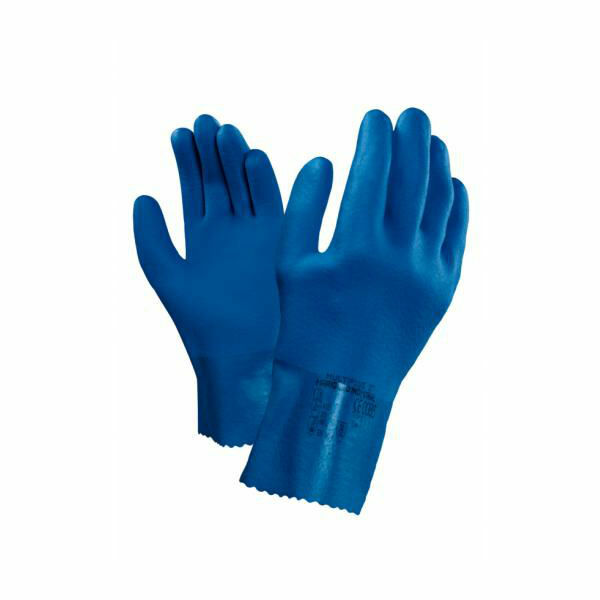 Offering abrasion resistance and protection from a range of hazardous chemicals, the Marigold Industrial MultiPlus 27 Long-Cuffed Industrial Protective Gloves are ideal for providing hand protection for a wide range of industries. They feature a long cuff for improved wrist protection, and a granite finish for good grip. They are available in a range of sizes to ensure the most comfortable fit on either hand. The product code for the gloves is: MultiPlus 27. The MultiPlus 27 gloves combine comfort and protection for optimal performance. They feature a cotton liner with a PVC coating, offering comfortable wear while providing good grip. The long cuff protects the wrist, while quality levels of abrasion resistance and chemical resistance help to protect the hands from harm. The Marigold MultiPlus 27 Gloves are available in a choice of sizes, making them suitable for most users. Please consult the table below for details, then select the required size from the drop-down menu at the top of the page. The gloves have a thickness of 1.35mm and a length of 270mm.